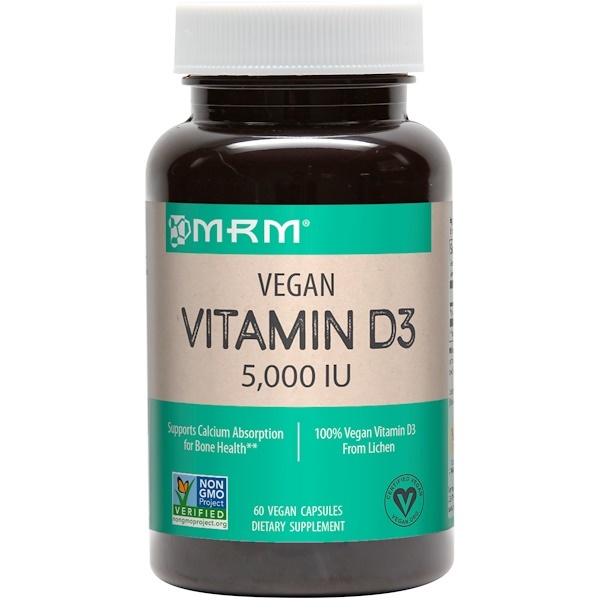 Developed with vegans in mind this unique microencapsulated Vitamin D3 (Cholecalciferol) is extracted from lichen and is Non-GMO Project Verified. Clinical evidence supports that natural Vitamin D3 is more efficacious than D2. It is necessary for the efficient utilization of calcium, in turn helping to form and maintain strong healthy bones. 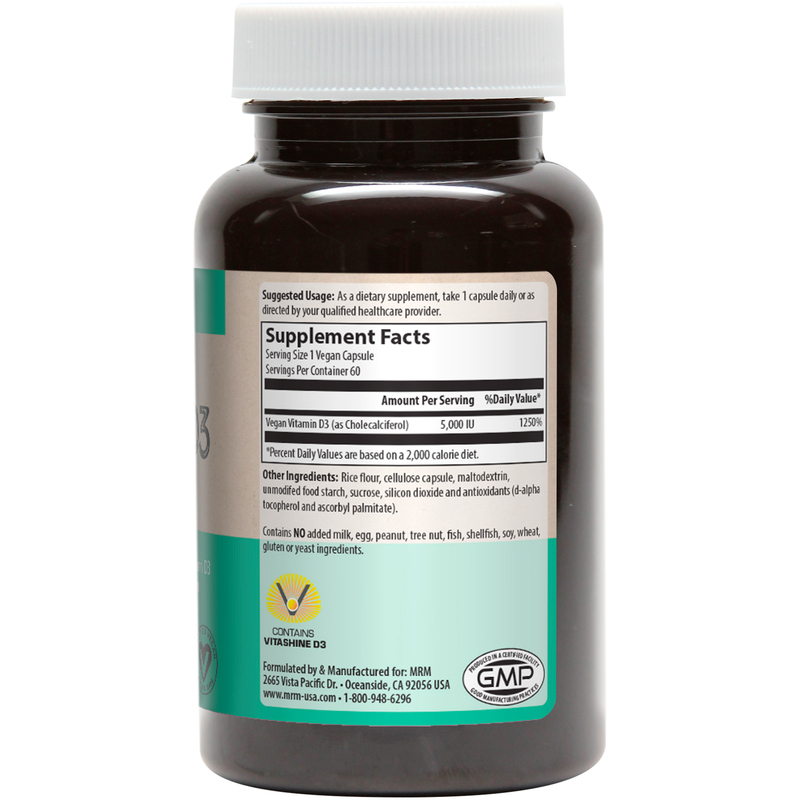 Vitamin D3 also promotes a healthy immune system. 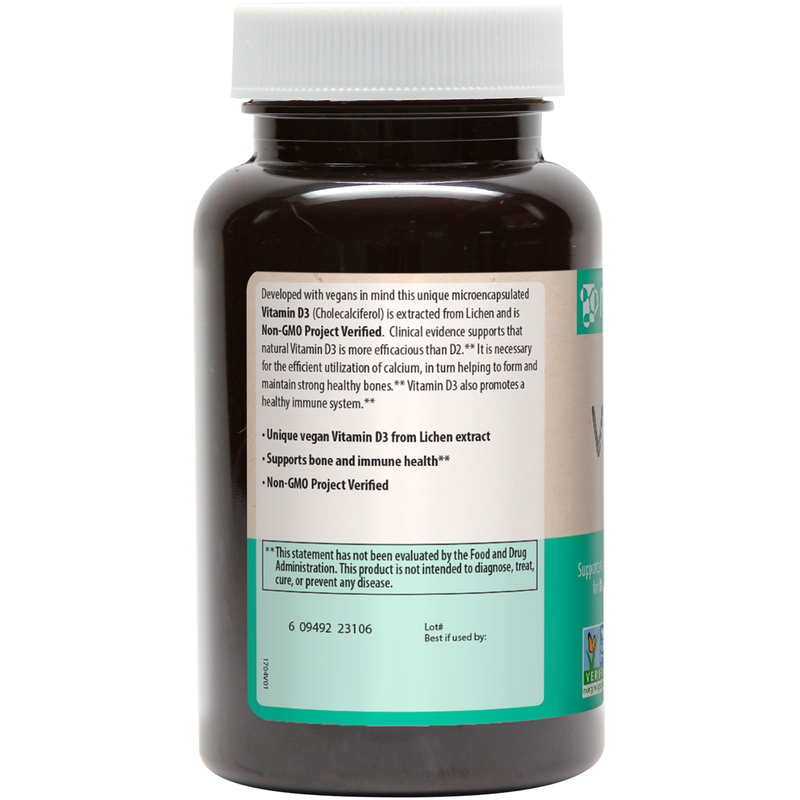 As a dietary supplement, take 1 capsule daily or as directed by your qualified healthcare provider. Rice flour, cellulose capsule, maltodextrin, unmodified food starch, sucrose, silicon dioxide and antioxidants (d-alpha tocopherol and ascorbyl palmitate).